This little guy has been camped out in this tulip for several days, even through yesterday’s rain. I am not sure what he is going to do about the fact that the tulip in question is steadily turning pink…can spiders change colour? 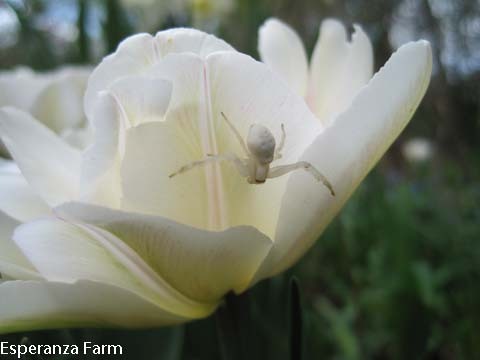 Crab Spiders are always amazing in how they are camouflaged in their habitats.